R.C. 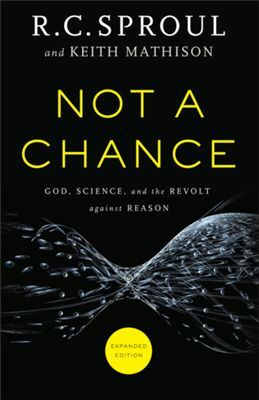 Sproul with Keith Mathison in this newly expanded edition of Not A Chance confront the scientific community in their belief of a self-creating universe. This is a thought-provoking read worth the time it will take you to digest each chapter. It will bolster your confidence in a Creator God if you have the wherewithal to devote yourself to reading Not A Chance in its entirety. To be honest, I have done little in my life to pursue science. I have a Bachelor of Arts for a very good reason; it meant I only needed three credit hours of science to graduate. In light of that, I knew before this book arrived I would struggle to follow Sproul regardless of his attempt to put his argument in layman’s terms. However, I welcomed the challenge because I believe it is important to defend my faith. For this reason, I encourage anyone and everyone to read this title. Regardless of your personal belief, Not a Chance is a book for those on both sides of the creation argument. I admit I could not help but hear Morgan Freeman reading this book to me. And now you will too, should you choose to read it! I was given a complimentary copy of this book by its publisher in exchange for an honest review. I have not been compensated and all opinions are my own.